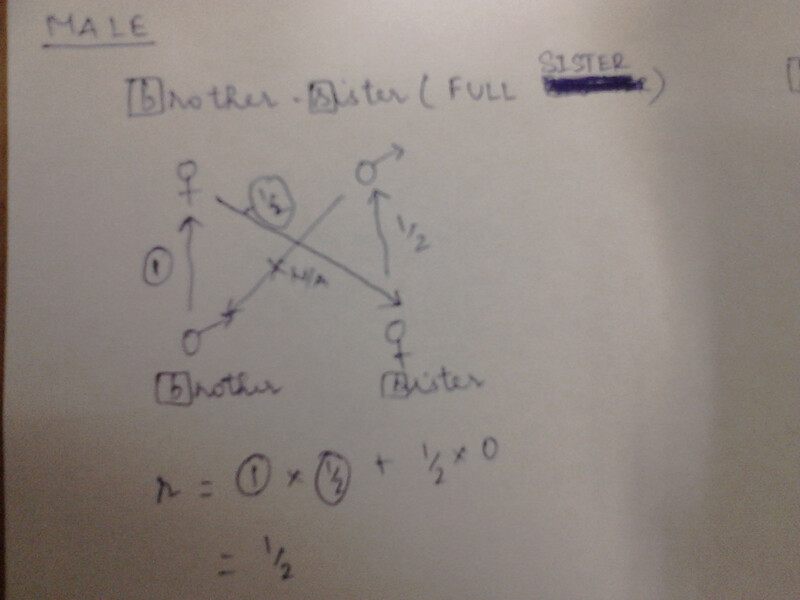 I have tried to calculate the relatedness for haplodiploid organisms, but cannot understand the calculations behind full sister and full brother. 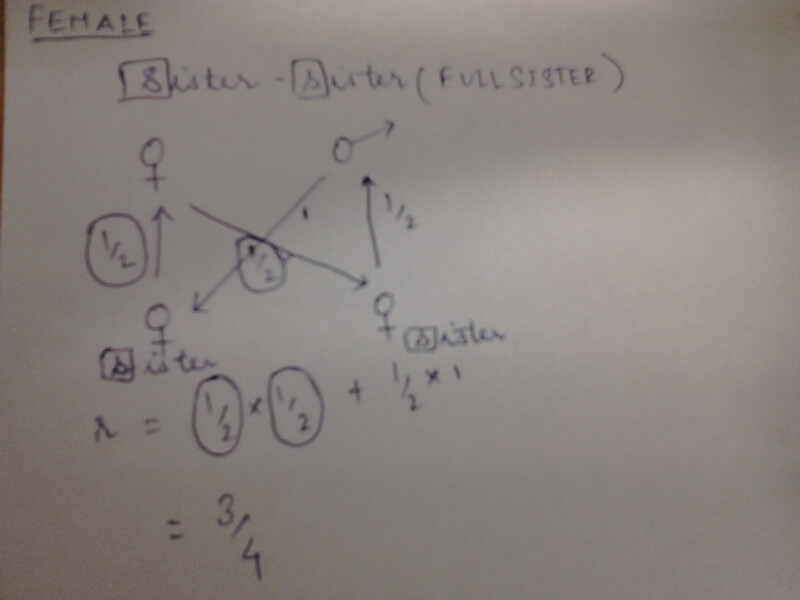 Even though I figured out how others work, I wasn't able to calculate r for fullsister fullbrother? How can it be 3/4,1/4,1/2,1/2? This is a relative thing in haplodiploidy system. 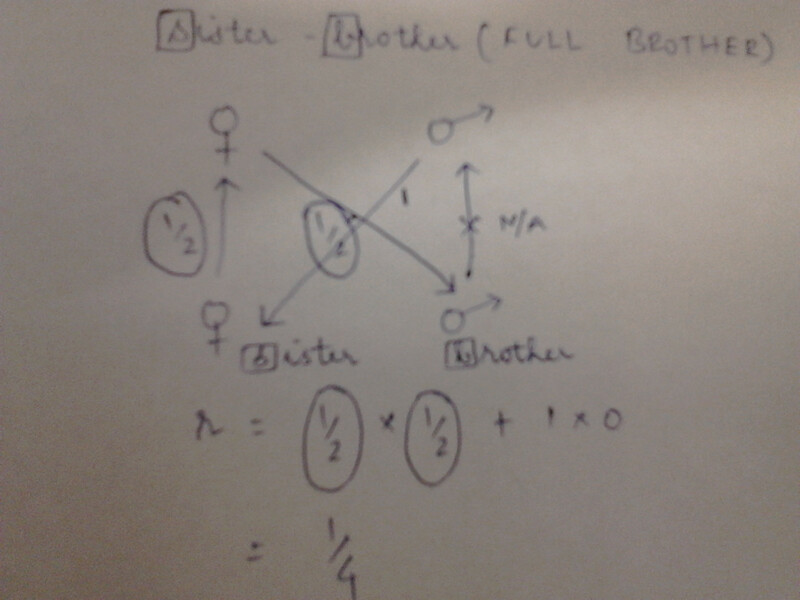 A male will share 50% of the genetic material from the mother's side with his sister (and doesn't get any from the father's side). 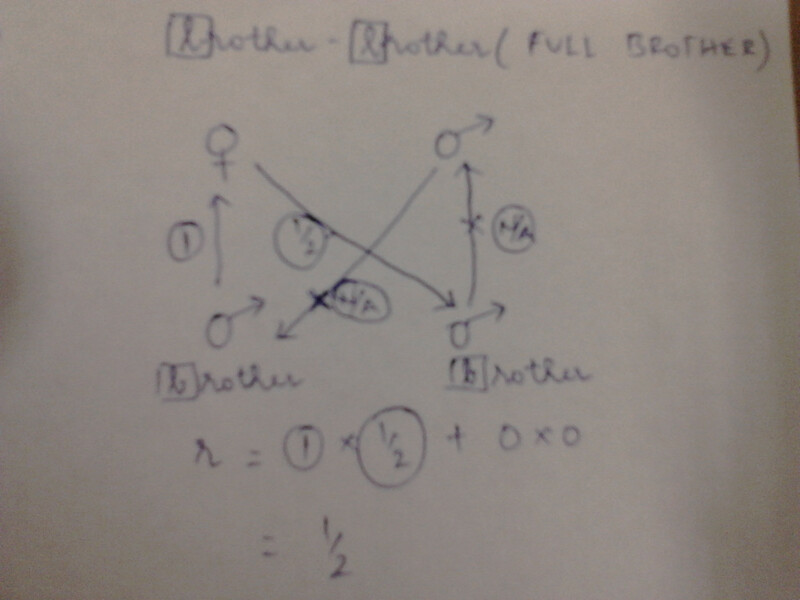 A male will share 50% of the genetic material from the mother's side with his brother (and doesn't get any from the father's side). Remember also that this only holds if the female has only mated once. Not the answer you're looking for? Browse other questions tagged genetics altruism or ask your own question.